The beloved teacher shot and killed this week along with her 2-year-old daughter was remembered Friday at a heartbreaking ceremony, where her second-graders sang "Lean on Me" and her sister called for an end to domestic violence. Loved ones, students, parents and total strangers mourned the deaths of NeShante Davis and Chloe Davis-Green at a vigil held Friday evening outside Bradbury Heights Elementary School in Capitol Heights, Maryland. The mother and daughter were shot outside their townhouse about 7 a.m. Tuesday in Fort Washington, Maryland, Prince George's County police said. Little Chloe's father, Daron Boswell-Johnson, 25, confessed to waiting for Davis and Chloe outside their home and then shooting them each multiple times, court documents show. He was angry over being ordered to pay $600 per month in child support, sources told News4. Boswell-Johnson, of Forestville, Maryland, faces two counts of both first- and second-degree murder and is being held without bond. Prince George's County Bureau Chief Tracee Wilkins has reaction from parents and coworkers as they gathered to remember a teacher and her 2-year-old daughter, who were both found shot to death earlier this week. Davis was in the middle of her first year teaching after she recently graduated from Bowie State University. On Friday, members of the Bradbury Heights Elementary community wore pink to honor the teacher and her daughter. Davis' class sang, and members of the community paid tribute to her. "Your life was taken, but your legacy of patience, love and kindness has profoundly touched all who have been blessed to know you," one mourner said. One of Davis' sisters spoke about domestic violence and the need to get help if you're being abused. 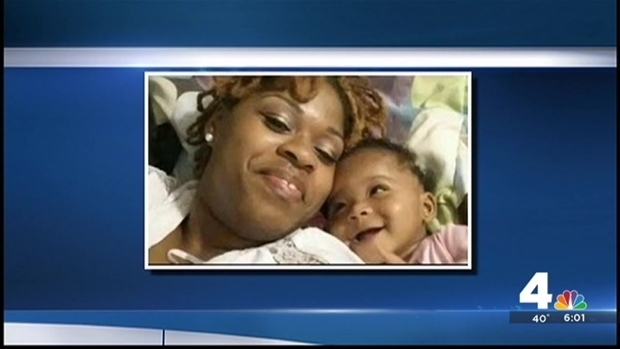 "In honor of NeShante and Chloe's memory, let's not allow something like this to happen to anyone else," she said. Davis was a natural teacher who doted on her students, teacher Alisha Rowden said. "Because she was a mother, she has that mothering spirit, so her students are under her wings just like baby birds," she said. "She treated them as if they were her own children." She and other staff members said they will never forget Tuesday. "It was the most difficult day of my professional career, and I've been doing this over 20 years," Walker said. Before Davis' fellow second-grade teachers knew Davis and her daughter had been killed, they knew something was wrong when she didn't show up for work. "I felt like my heart was in my stomach," Rowden said. "We hadn't heard from her." The school system and principal, Dr. Lynnette Walker, quickly developed a plan for informing staff and students. It was especially difficult for Walker, who hired her, she said. "When her resume came across my desk, I contacted a colleague at Bowie State and said 'Tell me about NeShante Davis.' And she said, 'If you can get her, get her. She's good," she said. 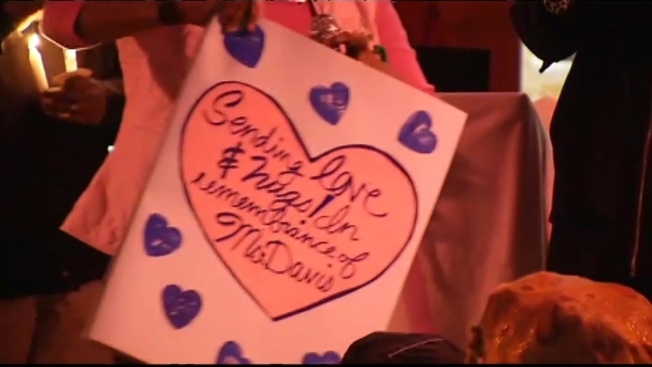 Davis' students, just 7 and 8 years old, are dealing with the loss of their teacher. "They're getting there. Each day I think is a struggle," second-grade teacher Hannah Greene said. "It hits them more and more that this is the way things are going to be now." Services for Davis and Chloe will be held Saturday, Feb. 13 at Ark of Safety Christian Church in Upper Marlboro.